Although the former presidents of the United States George. W. Bush and Barack Obama were secretly acting upon the Zionist-led double game as part of the South Asian policy, yet President Donald Trump clearly exposed America’s double game in South Asia. Despite the repeated assurances of Pakistan’s military and civil leadership that Pakistan’s nuclear weapons are well-protected and are under tight security arrangements, having well-coordinated command and control system, a deliberate propaganda campaign against the safety of these weapons keeps on going by the US, India and some Western countries who are acting upon the Zionist agenda to ‘denuclearize’ Pakistan as the latter is the only nuclear country in the Islamic World. Besides, some other developments such as America’s pro-Indian and pro-Israeli policies, and anti-Pakistan, anti-China, anti-Russia and anti-Iran diplomacy are also part of the Zionist-led double game of the US who is in collaboration with India and Israel. Particularly, Washington which is in connivance with New Delhi and Tel Aviv has been destabilizing Pakistan politically and economically. In this regard, a few days after the US cancelled USD 300 million in military aid (The so-called Coalition Support Funds) to Islamabad, accusing the latter of failing to rein in the terror groups operating from its soil in Afghanistan, US Secretary of State Mike Pompeo, the former CIA chief who along with the US Joint Chief of Staff Chairman General Joseph Dunford had arrived on an official visit to Islamabad met with Pakistan’s new Prime Minister Imran Khan, Chief of Army Staff, Gen. Qamar Javed Bajwa and Foreign Minister Shah Mahmood Qureshi on September 5, this year. In a statement, Pakistan’s Foreign Office said that Qureshi highlighted that the priority of the new government was socio-economic development and for the success of people-centred agenda and economic reforms, an enabling regional security environment was imperative. He said improving relations with neighbours was a priority, in an apparent reference to strained ties with India and Afghanistan, which often accuses Pakistan of providing safe havens to terrorists to conduct cross-border attacks. Qureshi also reaffirmed Pakistan’s commitment to continue efforts for promoting peace and stability in Afghanistan. The international community knows very well that Pakistan’s Armed Forces have successfully broken the backbone of the foreign-backed terrorists by the military operations Zarb-e-Azb and Radd-ul-Fasaad. Army and top intelligence agency ISI have broken the network of these terrorist groups by capturing several militants while thwarting a number of terror attempts. Peace has been restored in various regions of Pakistan, including Karachi and Balochistan province. But, like the previous diplomats of America, Mike Pompeo’s statement shows an unrealistic and contradictory approach towards Islamabad, as Zionist-controlled elements control the foreign policy of the US. Overtly, American high officials remark that they seek stability in Pakistan, but covertly, they continue to destabilize it to obtain the illegitimate interests of Israel. After meeting Pompeo, next day, addressing the Defence and Martyrs Day ceremony and hinting towards the US, Prime Minister Khan said: “The country will not be part of anyone else’s war, rubbished the myth of a civil-military divide in the country…We both [civil, military] have a common goal and that is to take this country forward.” He “saluted the valour and sacrifices of the armed forces, which stood strong against all odds in the aftermath of the 9/11 and the unconventional war that followed, to safeguard the interests of the country. Gen. Bajwa added: “The country passed through a very difficult phase during the past two decades and the war is still continued.” He also said that the continuity of democracy was necessary for the country. After visiting Pakistan, US Secretary of State Mike Pompeo went to India where US Defense Secretary Jim Mattis was already present. Pompeo and Indian External Affairs Minister Sushma Swaraj met separately on September 6, 2018, before joining top defence officials for talks. Pompeo told reporters “talks were ongoing on whether to grant waivers for India from U.S. sanctions on Iran — India’s second-largest oil supplier — and Russia. Our effort here is not to penalize great strategic partners like India. Raja Mohan, one of India’s top foreign policy analysts and the director of the Institute of South Asian Studies at the National University of Singapore, opined that US-India ties have strengthened immensely over the past couple of decades, and Trump has ramped up diplomatic pressure on India’s main rivals, Pakistan and China, earning him plenty of goodwill. In fact, the agenda for Indo-US talks included previous key issues such as anti-terrorism, maritime security and particularly countering China’s growing influence in the Indian Ocean and the region. Strategic analysts remark that there are no permanent friends and enemies in international politics because of friendship and enmity change in accordance with the states’ interests which are of primary importance. After having a strong relationship with the United States for more than 60 years, a rift has occurred in Pak-US ties which are moving on backtrack because of a number of reasons, and Pakistan has been further strengthening its relations with China. It has also inclined towards the Russian Federation which also needs the latter. Particularly, the US-led secret strategy which is part of the Zionist-led American double game compelled Pakistan to fortify its relations with Russia. In this connection, an agreement has been signed on August 7, this year between Pakistan and Russia for the training of Pakistani troops in Russia, decided at the culmination of the first meeting of joint Military Consultative Committee (JMCC) in Islamabad. Pakistan’s defence ties with Moscow are growing strong with each passing day and this pact has opened new avenues of cooperation between the two countries. A desire from both sides has already been seen in the near past in boosting economic and political relationships. Obviously, these moves are seen with suspicion by the US and India, including Israel. The fact of the matter is that American President Donald Trump’s pro-Indian strategy and anti-Pakistan policies have forced Islamabad to find new alliances. On August 3, this year, the US Congress had approved a $716 billion defence authorization bill to cut Pakistan’s defence aid from $750 million to $150 million. The Senate passed the conference report on National Defence Authorization Act (NDAA). The bill then was sent to president Trump seeking his assent. Last year, US defence bill had authorized a significant aid of $700 million for Pakistan under Coalition Support Fund that had been reduced afterwards. The defence policy bill backed President Donald Trump’s call for a bigger, stronger military and sidestepping a potential battle with the White House over technology from major Chinese firms. It is mentionable that soon after the victory of the Pakistan Tehreek-e-Insaf (PTI) in the general elections of 2018, China agreed to further US$ 2 billion loans to aid its foreign currency reserves, something which cites trust in the new government. The then Chairman of PTI, Imran Khan emphasized close ties with Beijing and the implementation of the China-Pakistan Economic Corridor (CPEC). This came timely, as Pakistan has continued to face strained relationships with the US government, and did not want to rely on the IMF for a bail-out. Chinese announcement caused Pakistan’s rupee to jump the most in nearly a decade, as Khan was likely to take power with an economy in chaos. 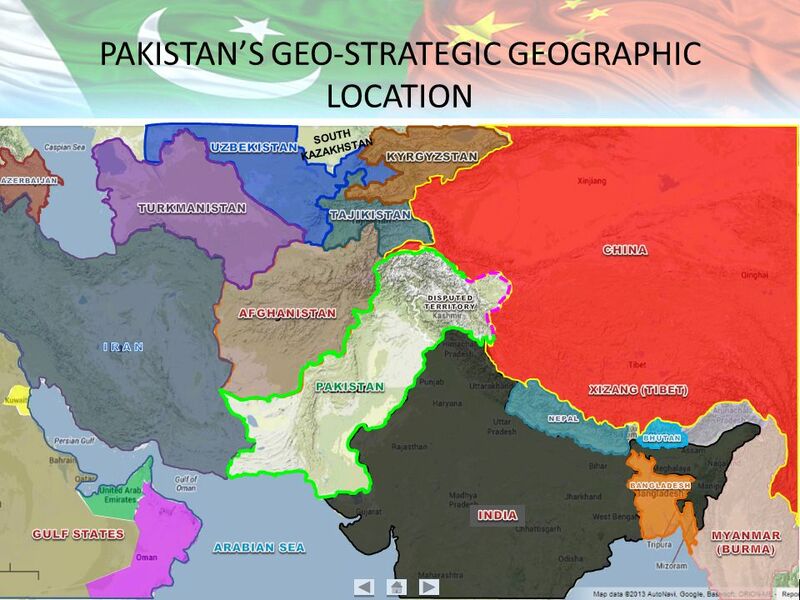 Beijing has stepped up to reinforce a geopolitical alliance which shapes the South Asian nation’s policies towards the US and India which are following a secret strategy of Israel against Islamabad. The gesture showed to Pakistan’s overwhelming reliance on China as a source of financial, diplomatic and military support at a time when US President Donald Trump has cut military aid to Islamabad. As regards Pak-Russian ties, in this connection, Pakistan’s Army chief Gen. Javed Bajwa arrived in Russia for a two-day visit on April 24, this year. It was General Bajwa’s first visit to Russia. Islamabad, Moscow and Beijing share the common opinion that the presence of US and NATO forces in Afghanistan failed to restore stability in the country. Speaking to Chief of General Staff of Russian Armed Forces Gen Valery Vasilevich Gerasimov, Gen. Bajwa stated; “Russia supported Pakistan’s efforts towards reconciliation and peace in Afghanistan” and it was “willing to play a role towards that end.” He noted that Pakistan welcomed any initiative which could bring peace and stability to Afghanistan and the whole region would benefit from it. Notably, in 2002, the 7th meeting of the Pakistan-Russia Consultative Group on Strategic Stability was held in Moscow. The two sides had discussed matters of mutual interest relating to international issues, including arms control, nonproliferation and counter-terrorism. On May 12, 2011, Islamabad and Moscow agreed to promote trade, investment and joint projects particularly in energy, infrastructure development, metal industry and agriculture. Russia has shown a special interest in energy projects. A working group of both countries had met in October 2011 to explore cooperation in this sector. Islamabad is interested in Russian investment in its oil and gas sectors as well as in heavy industries. Russia has offered Pakistan counter-terrorism equipment. The package includes 10 MI-17 helicopters of unarmed configuration. 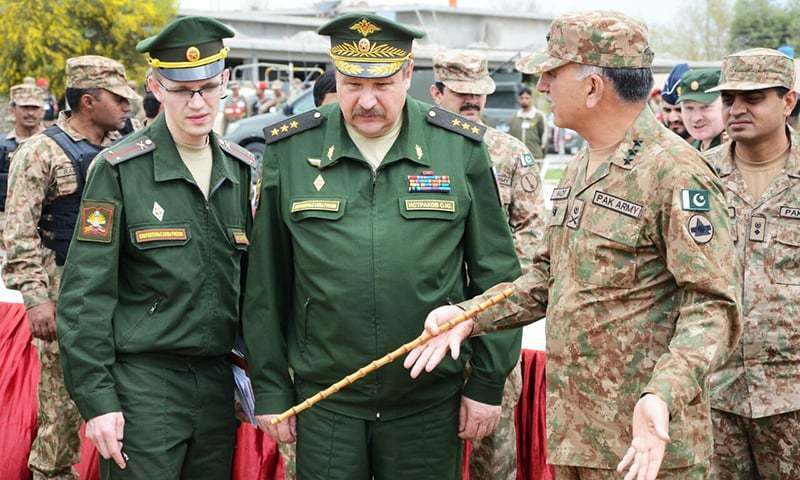 When Russian military Chief Col-Gen. Alexander Postnikov visited Pakistan in May 2011, he discussed with the former Army Chief Gen. Ashfaq Parvez Kayani—the possibility of expanding defence ties by holding joint military exercises, exchanging trainees and trainers and selling and buying weapons. Moscow has also offered to sell Sukhoi Superjet 100, a modern aircraft with a capacity of up to 95 passengers, while up-gradation of Pakistan Steel Mills by Russia is being finalized. In the recent past, it was the first time that joint military exercises were conducted between the two countries in Pakistan. In 2011, Putin publicly endorsed Pakistan bid to join the Shanghai Cooperation Organisation (SCO) and remarked that Pakistan was a very important partner in South Asia and the Muslim world for Russia. In the recent years, besides, various annual summits of the Shanghai Cooperation Organisation which includes Russia, China and four Central Asian states including Pakistan and Iran, on 16 August 2007, in their summit, the leaders of the SCO displayed strength against the US rising dominance in the region and military presence in Afghanistan, near the region of Central Asia. In a major development, Russia has offered its support for Pakistan’s entry into a free trade agreement with the Eurasian Economic Union (EEU), of which Russia is a leading member. During ex-President Barack Obama’s second visit to India, the Washington and New Delhi had announced a breakthrough on a pact which would allow American companies to supply India with civilian nuclear technology, as agreed upon in 2008. During Indian Prime Minister Modi’s first visit to America, President Obama had strongly assured him to favour India’s membership in the coming meeting of the Nuclear Supplier Group. Earlier, Washington also pressurized the International Atomic Agency (IAEA) to sign an accord of specific safeguards with India. America had already contacted the NSG to grant a waiver to India for starting civil nuclear trade on a larger scale. 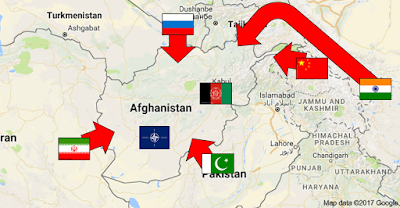 As a matter of fact, since the occupation of Afghanistan by the US-led NATO forces, the country has become centre of the intelligence agencies such as CIA, RAW and Mossad which are in connivance to obtain the covert designs of their countries and some Western countries against Russia, China and Pakistan, including Iran. Under the cover of fighting terrorism, these foreign agencies which are also in collaboration with Afghan intelligence agency, National Directorate of Security (NDS) support the militants of ISIS and Afghanistan-based Tehreek-e-Taliban Pakistan (TTP), including their linked outfits which have been conducting terror-assaults in Afghanistan and Pakistan as part of the secret strategy of the US-led countries. Besides, these terrorist groups are weakening Tibetan regions of China and Iranian Sistan-Baluchistan through subversive activities. Apart from Islamabad, the US has also accused Iran and Russia of assisting the Taliban in Afghanistan. The main purpose of Washington is not only to pacify their people and justify the unending war in Afghanistan but also to fulfil the secret strategic designs of the Zionist Jews against Russia, China, Pakistan and Iran. Trump has so far focused on outreach to China, India’s strategic rival, as he also initiated a trade war with China. 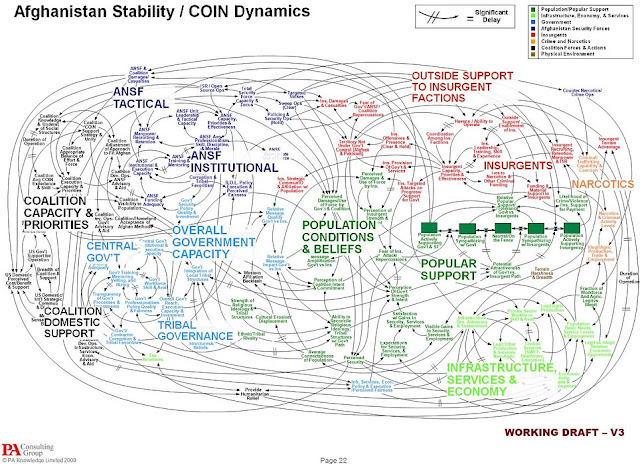 It is worth mentioning that Washington and New Delhi do not want to see peace and prosperity in the region. Sadly, Pakistan’s dominant role in Afghanistan’s peace process under the Quadrilateral Coordination Group (QCG) has, deliberately, been sabotaged by the killing of the Taliban leader Mullah Akhtar Mansur in the CIA-operated drone attack in Balochistan. After the incident, Afghan Taliban leaders refused to participate in the US-sponsored talks with the Afghan government. While, in the recent past, with the help of Pakistan, a series of meetings were held in Islamabad and Kabul among the representatives of Pakistan, Afghanistan, China and the US to develop an understanding for the earliest possible resumption of stalled talks between the Afghan government and the Taliban with view to ending nearly 17 years of bloodshed in Afghanistan. During the sixth Heart of Asia Conference which was held in the Indian city of Amritsar on December 3 and 4, 2016 proved fruitless in achieving its goals due to the secret diplomacy of the US, India and Afghanistan owing to the blame game, especially of New Delhi and Kabul against Islamabad. In his opening remarks, following American secret diplomacy in Asia, in his frenzy and ferocious speech, Indian Prime Minister Modi had lashed out at Pakistan on terrorism as the central subject of the moot. It is mentionable that the American President Trump has withdrawn from the Iran nuclear deal and is following war-mongering diplomacy against Tehran by toughening sanctions, while Israel is also doing the same against Iran. Hence, Iran could abandon the US-backed India-Afghanistan Chabahar project and could join the CPEC project. Notably, in the recent years, unbridgeable trust deficit existed between Pakistan and the United States owing to America’s double game with Islamabad. But, President Trump’s flawed strategy in South Asia, based upon anti-Pakistan moves, has taken the Pakistan-US ties to point of no return. During the heightened days of the Cold War, despite Pakistan’s membership of the US-sponsored military alliances SEATO and CENTO, including Pak-US bilateral military agreement, America did not come to help Pakistan against India which separated East Pakistan in 1971. But, after the 9/11 tragedy, America, again, needed Pakistan’s help and President George W. Bush insisted upon Islamabad to join the US global war on terror. Pakistan was also granted the status of a non-NATO ally by America due to the early successes, achieved by Pakistan’s Army and country’s Inter-Services Intelligence (ISI) against the Al-Qaeda militants. Within a few years, when the US-led NATO forces felt that they are failing in coping with the stiff resistance of the Taliban in Afghanistan, they started accusing Pak Army and ISI of supporting the Afghan Taliban. They constantly insisted upon Pakistan to do more against the militants and continued the CIA-operated drone attacks on Pakistan’s tribal areas by ignoring the internal backlash in the country. While encouraged by the US President Trump, Indian Prime Minister Modi is flowing aggressive diplomacy against Pakistan, and India has continued shelling in Pakistani side of Kashmir which remains a nuclear flashpoint between both the neighbouring countries. Nevertheless, taking note of the Zionist-led US double game, the new government of Pakistan led by Prime Minister Imran Khan is further fortifying country’s relations with Beijing, Moscow, Tehran and Ankara. Especially, he will prefer Russia and China over America. It is also of particular attention that two days after the US Secretary of State Mike Pompeo’s transit visit, Chinese Foreign Minister Wang Yi is reaching Islamabad on Friday (September 7, 2018) on a three-day visit. Besides meeting his Pakistani counterpart, Mr Wang is likely to meet Prime Minister Imran Khan and president-elect Arif Alvi during his stay in Islamabad to have discussions on bilateral issues with a focus on China-Pakistan Economic Corridor projects. We can conclude that the Zionist-led double game has taken the Pak-US relations on the backtrack, and in future, the Russian-led China-Pakistan-Iran-Turkey alliance will emerge.